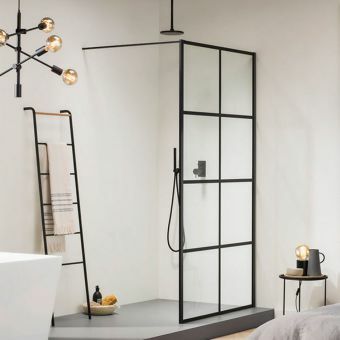 Have you been looking for a black framed shower? 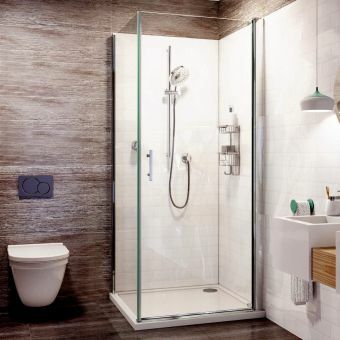 We like your style! 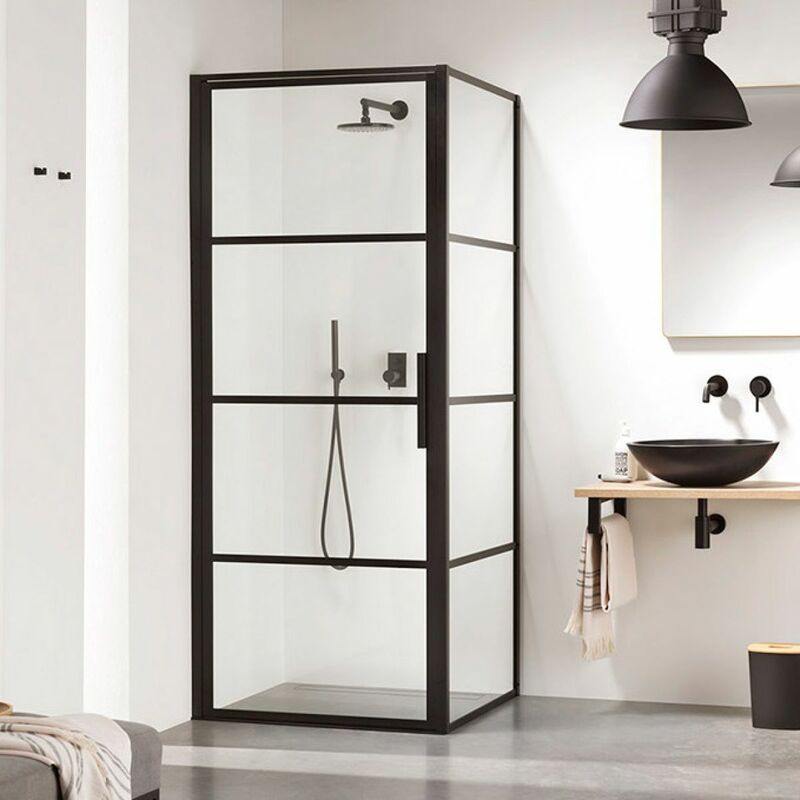 Black shower enclosures are at the cutting edge of contemporary bathroom design, drawing from luxury, open plan loft-living in New York, Manhattan and Soho influenced. 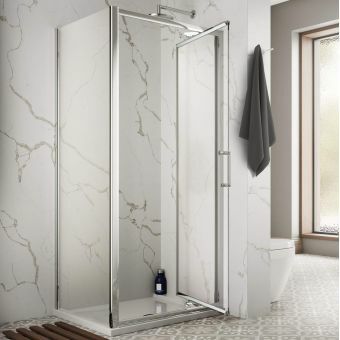 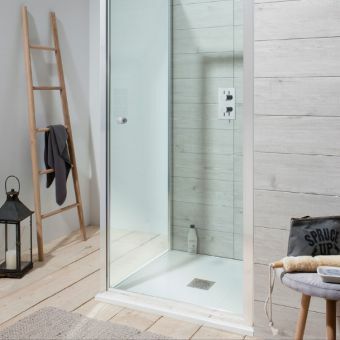 Taking its name from that industrial, converted-loft-look straight out of the latest interior design magazines, is the 'Soho' range by luxury wetroom manufacturers Impey wetrooms. 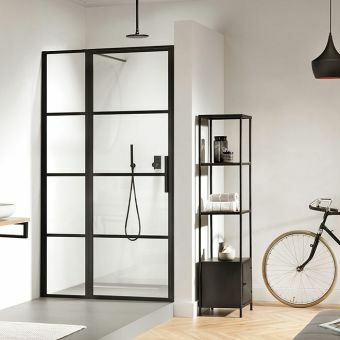 The frame is sturdy steel with a black powder coated aluminium finish in matte black. 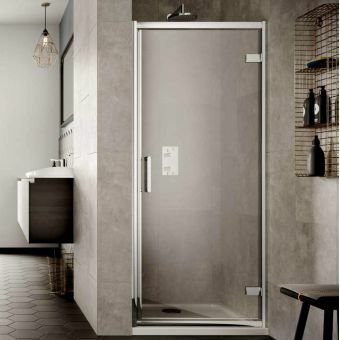 The grid design is black silk printed onto the glass, this has the advantage of being very easy to clean as there is no physical barrier on the glass itself. 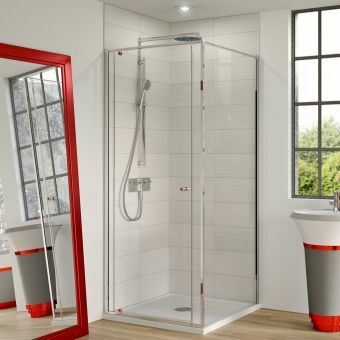 This is where the AquaSheild coating comes into its own, an easy clean coating that comes as standard it keeps the screen looking cleaner for longer, repelling dirt and minimising watermarks. 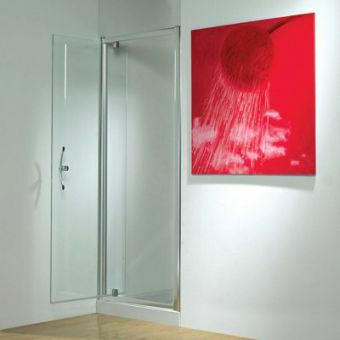 The height of the door is 2100mm, fixing to the wall with a mounted wall bracket which is included. 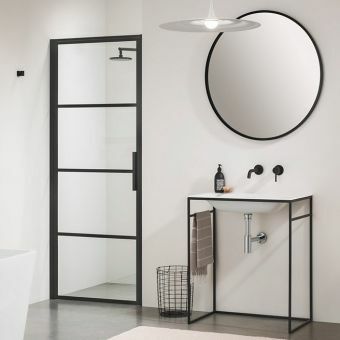 To style this piece with other black elements such as showers and taps which are also available from UK Bathrooms just get in touch with our sales team. 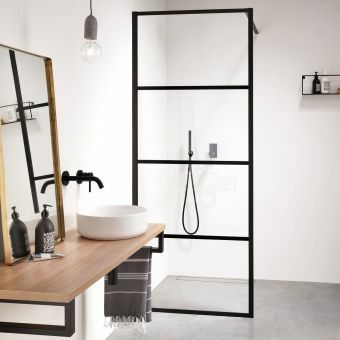 An alternative styling option is to pair black enclosures with brass or matte gold brassware, or for a more opulent finish try large marble tiles and worktops for an Italian monochrome feel.